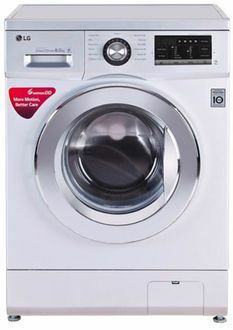 The front-load washing machines are prevalent among the consumers as it has lots of convenience features. 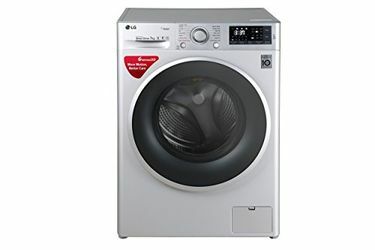 LG has a strong lineup of 8 Kg front-load washing machines and is moving fast in the market. LG is a favourite brand and manufactures several products such as televisions, monitors, refrigerators, microwave ovens, etc. 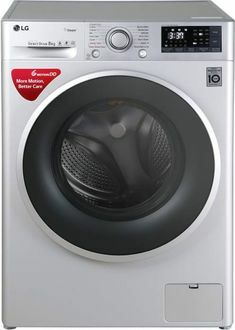 People with small family can choose the 8 Kg washing machines. The front-load washing machines come only in fully automatic option, and they look premium which improves the aesthetics of the home. They are on the expensive side, but you get numerous features for the price that helps in efficient cleaning. 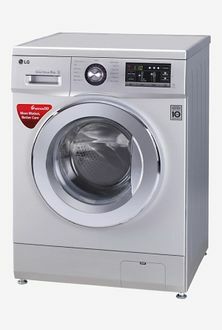 For details on the price, you can check out the price list of 22 LG 8 Kg front-load washing machines are given below that is updated on 25th April 2019. 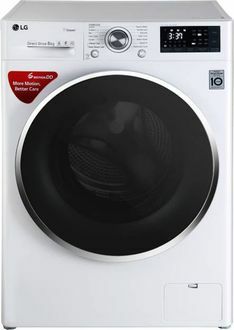 The features in these washing machines include water level selector, function selector and a digital display for providing information on the cleaning cycles and the time taken for washing. 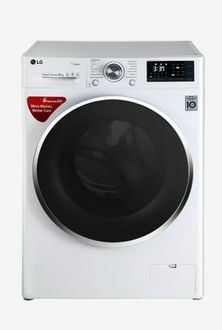 The LG 8 Kg front-load washing machines are available to buy online from the top leading e-commerce websites like Paytm, Tata Cliq, Amazon and Flipkart. The lid of the washing machines has a transparent window made of toughened glass and machines come with the strong metal body. 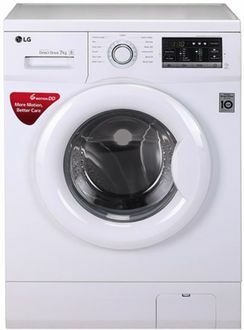 You can use the price comparison tool on our website to compare the price of these washing machines across major websites and get it at the lowest price online.